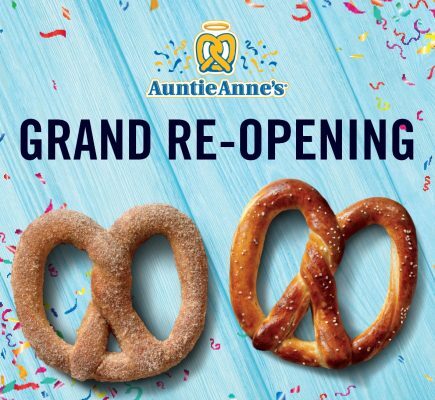 Auntie Anne’s is NOW OPEN at Aviation Mall. Make your next shopping trip even better with a stop at Auntie Anne’s. Located near Target.